Books are food for the intellect. Just as there are many sources for physical nourishment (i.e. fast food, daily bread, and fine dining), so there are many genres for a diverse feeding of the mind. This has been my experience and I have noticed that a regular diet of contemporary young adult literature (much of which I read for the purpose of being informed about my students’ reading preferences) leaves me craving something solid and sustaining. Perhaps this is because my mind has grown accustomed to rich literature because I was raised on biographies, classics, rich historical fiction, and the Bible. It leaves me wondering if parents and educators should be as intentional about what children read, as they are about what children eat. This page is dedicated to my reading list. Have a New Kid by Friday is a lighter supplement to the previous parenting book, The LifeGiving Parent; I enjoyed reading them simultaneously because they filled in each other’s gaps. While the latter provided an excellent foundation for developing one’s parenting philosophy, the former provides practical application. Dr. Kevin Leman writes with great candor and common sense. He has experience as a psychologist of 40+ years and is also a father of five grown children who are leading successful lives. My husband and I could laugh as we read yet also seriously discuss and apply his straightforward suggestions on successful parenting. *Be 100 percent consistent in your behavior: challenging but rewarding in the long run. *Always follow through on what you say you will do: makes sense, right? *Respond, don’t react: don’t let the emotionally-charged situation dictate how you address the situation. *Don’t threaten or give any warnings: doing so tells your kids that you don’t think they will obey. *B doesn’t happen until A is accomplished: expect obedience and until you receive the response you are expecting, life for your child doesn’t move forward. *Identify the purposive behavior behind your child’s behavior: once you know what is prompting your child’s behavior you can address that. Usually it is a power-struggle and the parent must determine to win every time. I chose to share these principles because they are my greatest takeaways from this book. I have been able to implement them in my own daily parenting and I feel empowered as I do so. It is helpful to remember that I am the one in charge: my children are not. They are completely dependent on me so they need to respect and obey me. As I said earlier, this book dovetails with Clay and Sally Clarkson’s book because theirs targets the heart of parenting and how we develop the tone of our home and the heart of our family. Their book helps us to identify the ultimate calling as Christian parents. While Leman is a Christian, he is targeting a broad audience and keeps his writing spiritually neutral. He is addressing behavioral issues and presents common sense solutions for them; however, it is important to remember that as Christian parents we are doing more than just teaching children to obey. Ultimately, we are pointing them to Christ. If you are a parent who wants to have some easy tips to follow when handling those every day kid issues, this book is for you. From Chapter 1 you will be able to apply something new to your parenting strategies. When a sweet friend from church said that she was going to be hosting a study of this book in her home, I jumped at the opportunity for more reading and more fellowship. The title itself spoke to my heart: “Yes! I want to learn how to be a lifegiving parent!” I had already read and been inspired by Sally’s book, The Lifegiving Home so I was ready for more. Numbering Your Child’s Days: Recognize that you have a limited window of time for influencing your child in the way he should go. Children are born with an instinctive desire to believe in God and trust their parents but as they get older outside influences can lessen that desire. The first five years are especially critical in molding children’s character. Are you maximizing your time with your child? Nurturing Your Child’s Spirit: The spirit is the inner person, the essence of who one is. As parents we are called to be the guardians of our child’s spirit, nurturing and protecting the individual God has designed him to be. The Clarksons highlight two ways to approach nurturing: through discipline and instruction. Both are necessary. This means shaping them with responsibility and feeding their minds with rich information. How are you nurturing your child’s spirit? Guarding Your Child’s Heart: What your child loves dictates how he will live. The appetites he develops as a child will govern the choices he makes in the future. As parents we can cultivate what our children crave in body, mind and spirit. What we consistently expose them to will shape their normal, influence what they love, and often form their appetites. Do you know what your child loves? Renewing Your Child’s Mind: Our children’s minds are virtually miraculous! They are designed to absorb, learn and grow rapidly from the first day of their existence. They are learning from everything that is around them so parents must be intentional about the type of immersion our children are experiencing. We know that junk food does not provide the nourishment our bodies need to grow; are we just as intentional in how we “feed” our children’s minds? Strengthening Your Child’s Faith: Children intuitively have faith. It is raw, innocent, childlike faith that simply believes. They have faith in God and faith in their parents. This faith is a gift to them and cannot be dismissed; instead, Christian parents should build upon it, protect it and help it to flourish into the mature faith in Jesus it has the potential to become. What are you doing to strengthen your child’s faith? Shaping Your Child’s Will: Strong-willed children are often frowned upon, but will is an important tool in your child’s life. This is what he uses to determine the decisions he is going to make. He will or he won’t. It is the parents’ responsibility to shape their children’s wills in a way that they determine to make choices for good and for God’s glory. This can be done in three key ways: with grace and truth, for diligence and with discipline. Your child’s will is a blessing. How are you shaping it? Cultivating Your Child’s Character: The character of a child is formed by his identity, his personality and his capability. Children will come to question who they are and the conclusion they draw will shape their character. When your child begins to question his identity, tell him three things: “You are good, you are God’s and you are loved.” Speak these truths to him over and over. Also, recognize your personality type and your child’s. This will help you to know how to best parent him in a way that helps him flourish and further affirms his identity. Finally, help your child recognize his God-given capabilities so that he can find it easier to recognize his self-worth in a way that gives God all the glory. How is your child similar to or different from you? Forming Your Child’s Imagination: Your child’s imagination helps him to have faith. Imagination creates pictures in our minds of things we have never seen but only heard described. Imagination sees no impossibility. Imagination does not need to be left in childhood. Never squelch your child’s imagination; give it space to flourish and provide ample resources to further cultivate it. Enter in when your child’s imagination is at work so that they can see yours at work! and never stop reading! Let imagination thrive in a secure environment. How do you form your child’ imagination? The main weakness of this book is that it is more philosophy than application. It is easy to assume that the authors led a perfect life and were never challenged by their kids. Logic and studying more of their material (books and podcasts) make it evident that they struggled as much as any parent does; however, I would have appreciated relevant application of their ideas either through their own examples or from others. I also found that it wasn’t until the sixth chapter that the material became engaging. With that acknowledgment made, I learned much from this book that I am already striving to implement in my own parenting. I am seeking to be my children’s advocate versus their sin-police; I want to expect good from them instead of disobedience; I am encouraging their imagination by entering into their play and increasing their reading time. Most of all, I am affirming their identity and their capabilities as God’s handiwork as I instruct, discipline and encourage. If you are still shaping your parenting philosophy and don’t mind a lengthier read, I would not hesitate to recommend The LifeGiving Parent. It is worth the time and effort and may even be richer with the accompanying study guide. Have you ever met someone and instantly known that you will be friends for life because your hearts simply understand each other? And then you want all of your friends and their friends to meet this new friend of yours? 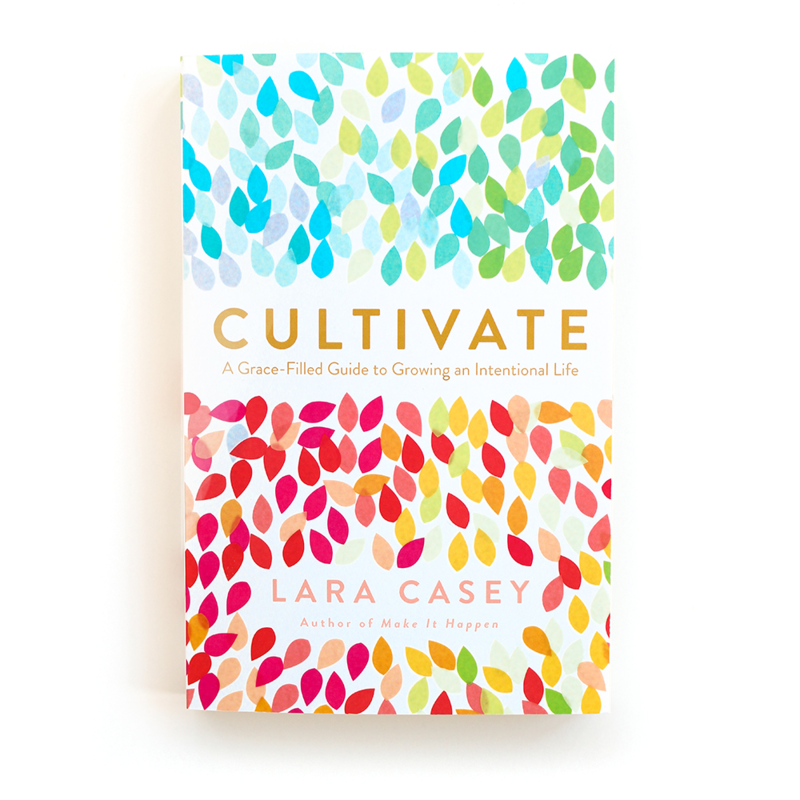 THAT is exactly how I feel about Lara Casey’s Cultivate: A Grace-Filled Guide to Growing and Intentional Life. She put into words what I have long known to be true: that there is a way to live with intention, that perfection is not the definition of a fulfilling life and that joy can be found in life’s messiest moments. From page 1, Lara’s writing invites you to sit in the front porch rocker, sip a glass of iced tea and chat with her about life. She gently confides in you her story of messy emotions, misplaced priorities and missed opportunities to make memories and then she shares how God and a garden changed her perspective and turned her life around. It’s poetic, it’s vivid and it’s authentic. It took me nearly 5 months to read this book; not because it was a dry read or I had no interest but because I wanted to savor every word and allow it to soak into my soul. I found myself planting flowers in my backyard and not minding the dirt on my hands; I squealed with joy when the first hummingbird came to our feeder; and I’ve been thinking about how to strike up conversation with the cashiers at our neighborhood grocery store – all because of this book and it’s eloquent way of making ordinary routines into treasures. Lie: waiting is not good or productive. Truth: Waiting is a time of ripening. Lie: I will be content when I have it all. Truth: I will be content when I live grateful. Lie: The past isn’t valuable; it’s all about the future. Truth: Remembering God’s faithfulness helps us cultivate a meaningful legacy. In the past 5 months my outlook on living has been changing. I speak about cultivating and tending. When I catch myself comparing my life with someone else’s, I stop and celebrate their successes as well as my own. I am taking note of the “I want” list and seeing if I can replace each item with something I already have. And the biggest change of all? I’m embracing my flaws because they open doors that perfection would slam shut and lock: doors of connection with others who are flawed, doors of grace from God and for others, doors of joy over how Christ is working in my life. Before I start quoting every word from this book because it’s a favorite, let me summarize with this: read it and then read it again. That’s what I am going to do. Instruments in the Redeemer’s Hands: People in Need of Change Helping People in Need of Change Are you seeking to build the relationships in your life? Are you striving to genuinely help those who come to you with their problems? Do you want to understand people? These questions are the reasons why I approached this book with enthusiasm. The book begins with an introduction to a biblical understanding of man’s condition: we all have a heart problem. To truly help the people around us we need to get to the heart of their issues – which is their heart. But how is this done? Through Scripture. Paul David Tripp provides a thorough analysis of man’s heart without Christ and the struggle with sin that every heart experiences, even the one surrendered to Christ. He then proceeds to illustrate how every apparent problem we have can be traced to the root cause of sin. Yet how does this translate to helping other people when they come to you with their problems? Tripp outlines a personal counseling approach that models how Jesus interacted with people during His ministry here on earth. It is the “Love, Know, Speak, Do” approach. As he details this model we learn that to genuinely help people with their life issues we need to far more than flippantly offer feel-good advice or give a pat answer based on we assume we would do in their situation. Sincere, loving help involves meeting the person where he is at, listening without judgement, asking careful questions and then bringing him to Scripture. All of these steps take time and effort and relationship-building, but as Triipp points out, this is our calling as Christ’s ambassadors. We are called to draw people to Jesus through relationship. After completing this book, I feel more equipped to enter conversations with biblical counseling in mind. I am slower to give answers when people talk to me about their struggles and problems; I restrain my reflex of assuming I know exactly what they are going through or what they should do to fix their problem; and I am putting more effort into asking informative questions so I can gain a better understanding of what their experience is. This book is a rich resource for Christians in all walks of life; after all, we all know people in need of change, including ourselves. Long Days of Small Things As I sit here sipping tea and munching cookies I am reflecting on the highlights of my day: 15 minutes of preschool time learning letters and studying a map of the United States; absorbing the sound of squeals and splashes that resulted from a sudden downpour; and ending the day with a look of wonder from my little boy when I found a beloved missing toy octopus. Motherhood is grueling in every sense of the world. It means isolation, desperation, and exhaustion as a constant companion. It means longing for a break and yet yearning for time to stand still. It means bursting with pride with every new accomplishment yet weeping internally with each stage of growth. It means wanting them to do things on their own yet hurting as they become more independent. Motherhood is joy and sorrow mingled into a single emotion. 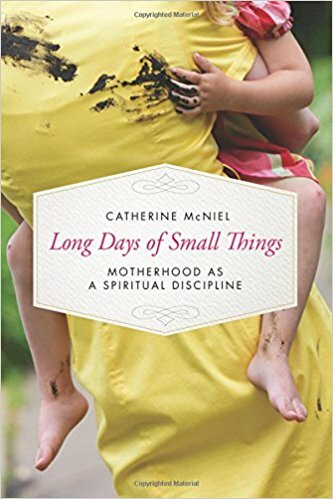 No one captures the essence and intensity of motherhood as succinctly and eloquently as author Catherine McNiel. A beloved mentor of mine introduced me to this author when she sent me a copy of Long Days of Small Things. I began reading it towards the middle of my fourth pregnancy and finished it today. I was impacted from the first page and deliberately did not read the entire book in one sitting because I wanted to adequately digest every thought and internalize each fresh idea. Motherhood is sacred. We are the only beings who have been blessed with the experience of creating and sustaining new life. This gives us a unique view into the heart of God. We have an inexplicable bond with the life that came from us and thus we better understand His yearning to be in relationship with those He created. In all the dirt, chaos, and tears that come with this calling, there is a sense of holiness and connection with God that only we can experience as life-givers. Motherhood is a discipline. In the sacrifice, surrender, and service that are required of us on a daily basis for the rest of our lives there is a choice. We can choose to despise the demands of our home and little ones or we can view each task, each routine, each change in plans as an opportunity to choose joy. To be a joyful mother is to be aware of Christ and all that He has done for me, His daughter. The practice of spiritual disciplines does not need to be lost on mothers for our days are filled with moments for meditation, prayer, fasting, study, simplicity, solitude, submission, service, confession, worship, guidance, and celebration. We simply have to be creative and ready to seize those moments as we can. Motherhood is in this moment and this moment and this moment… Despair and desperation often come when we dwell in the past or rush into the future. Such joy and wonder come from simply being – right here, right now. Take the time to be aware of all that each of our five senses are absorbing: the dancing eyes, the stream of childish chatter, the squeeze of pudgy arms around our neck, the scent of baby, sharing favorite treats. Being in the moment is what makes them linger for today and in our memories forever. While reading this book, I recognized the intensity and impact that motherhood has on mothers. It’s not something that we can ever retire from even after the nest is empty; it is simply an identity that adjusts to the next stage our children enter. It is a beautiful, life-giving and life-altering identity. 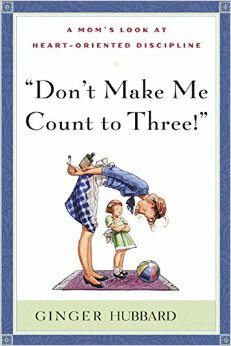 This book is a must-read and a re-read for every mother. 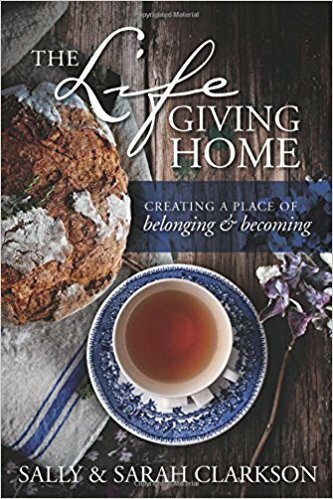 If ever there was a book that spoke my heart, it is the Life Giving Home by Sally and Sarah Clarkson. This mother-daughter team wrote this book out of a deep desire to refresh the image of home in modern society. In today’s high speed, screen dependent world where virtual relationships are more common than those of flesh and blood, it is common for home to simply mean a place to eat, sleep and store stuff; in reality, the home should be the place where life is nurtured, battered hearts are mended, dreams are encouraged and fears assuaged. But how does one go about cultivating such a haven of a place when life is just, well, so busy? Place. It begins with recognizing that if you are a human being you need a home; not simply four walls and a roof, but a place where you belong. People. In order to have a home in every sense of the word, there need to be people willing to take the time to make it. This doesn’t mean you quit everything you’re doing in the world and never leave your house; it does mean that turning that building into a cozy place of comfort, beauty and safety is one of the highest priorities in your life. Your presence and care should be present in every nook and cranny of that house, no matter how small or large your abode is. Each of the five senses should come alive with delight in every being who crosses your threshold. Love, joy and peace should be the ambiance of your dwelling place. Purpose. Finally, a home is not a home without a vision or direction in place for the lives who live within it. That direction comes from seeking the beauty in the mundane and ordinary aspects of life; from finding meaning in every day and month of the year; from creating traditions that celebrate the triumphs of individuals and the family as a whole; from making every meal a feast and savoring it together; from working, playing, talking and being silent together; from inviting others in and making them a part of your tribe; from knowing when to withdraw from the world so your family has time to heal and knowing when to step out and be involved with making the world a better place. To conclude, this book is one that has transformed my outlook on cultivating my home and nurturing the souls within it. I am inspired to make every day count in the minute ways just as much as in the major ones. Sally and Sarah have challenged me to make my home not just a haven for my own family but also for those who I can invite in to it. In addition, I am more in tune with the significance of the senses when cultivating growing hearts and minds. The whole person never ceases to absorb its surroundings, thus necessitating that every sense has something rich and invigorating upon which to feast. While this book was written by female authors, they received input from the males in their family as they wrote. It contains home-making ideas for singles, couples and families, as well as grandparents. Without a doubt, all who love HOME will benefit from this beautiful read. What do the Olympics, WWII and sharks have in common? If you guessed Louis Zamperini you are absolutely correct. Before Hillenbrand’s Unbroken (and subsequent film) was published, this name was unknown to me. Now? Well, now it pops into my head every time I think of war, fighter jets, Japan, lost at sea or running. This epic narrative is life-shaping: not simply because of the nail-biting suspense, the jaw-dropping peril or the unfathomable evil that one encounters in its pages, but because of the endurance and strength that gripped one man’s soul when death seemed to be the only option. Louis “Louie” Zamperini was a thoughtless, reckless and self-indulgent young man who seemed destined for a life behind bars. His town hated him, his parents despaired for him and the law was determined to catch him. However, through the persistent hope and coaching of his older brother, Louie discovered that his feet had wings. He rapidly established a name for himself in high school track meets and eventually found himself competing in the 1936 Berlin Olympics. While he maintained a lifestyle of wild living, competitive running gave his life meaning and purpose. He set his sights on the 1940 Olympics in Tokyo. War changes the timeline of the future. Grappling with despair over the cancellation of the 1940 Games, Louie enlisted in the Army Air Corps. Through all of his military training he kept a rigorous fitness routine to maintain his speed and agility. After December 7, 1941 and America’s plunge into the war, Louie’s life was changed forever. He and his flight crew began flying perilous bombing missions throughout the Pacific theater. On May 27, 1943, their plane went down in the Pacific’s shark-infested waters. He and two other crew members, one being the pilot, were the only survivors of the crash. The third man passed away after a few weeks in the life raft; Louie and Phil, the pilot, were at sea for a total of 46 days. Their “rescue” by the Japanese resulted in two years of brutal imprisonment by Axis forces, causing Louie to often long for the freedom he had once had on that tiny life raft surrounded by sharks. At the end of his imprisonment, Zamperini was confronted by how much he had changed; he no longer knew how to live in the regular world. He suffered from severe post-traumatic stress disorder and sought escape from the torment of sleep through alcoholism. He was racing himself towards destruction. Friends pleaded with him to stop drinking; his family begged and prayed for him; even if he wanted to stop the drinking and his violent tendencies, he no longer could. Outwardly his body seemed free; inwardly he was a tortured man and only a miracle could save him now. That miracle came through the preaching of Billy Graham at his Los Angeles revival. Here, God exchanged Louis Zamperini’s heart of stone for a heart of flesh that longed for repentance and forgiveness. Within minutes he was a changed man – no more drinking or reckless living. He was a transformed life who went on to bring transformation to many more lives through his thrilling, heart-stopping, God-honoring testimony. The Relevant History. 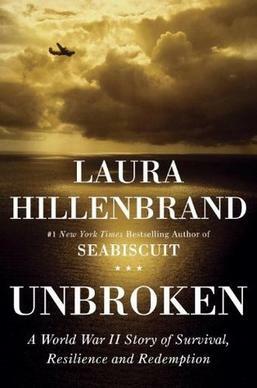 Laura Hillenbrand presents a superb blending of historical fact and personal narrative through her writing. I learned more fascinating details about the intricacies of WWII, the American fighting machine and the Japanese involvement than a dozen textbooks could have ever taught me. This was because the relevancy of these facts was now personal; I had an investment in history because my friend Louie was living it. I was experiencing the danger, the politics, the evil and the good in a tangible way through her exhaustive research and clear writing. The Human Encounter. There are few things more devastating or inspirational than human nature, and war pulls the curtain away from both sides. Louie and his compatriots were brutalized in unspeakable ways by their captors; captors who could no longer be described as human for their actions were barbaric, leaving hundreds of thousands of POWs and civilians murdered. Yet some managed to escape the death clutches of these cruel people. How? Through acts of kindness, through maintaining a sense of humor, through camaraderie, through faith and hope and love. This is the other side of being human – the side that remembers there is a God in the midst of war. The Divine Challenge. Unbroken is God’s story. Louie could not have experienced or endured what he did without God’s orchestration of every detail. Through the horror and through the triumph He shines glorified. The triumph would not be so satisfying if the horror had not been so devastating and therein lies the challenge: are we willing to zoom out of the story in order to view the larger narrative, to step away from the book and scan the entire library of history? If so, we can see that the human timeline is connected from beginning to end with the single focus of God’s redemption of mankind. This book would be an excellent New Year’s read as it will inspire and challenge you. It will inspire you to live nobly and challenge you to keep your perspective on the larger narrative, the library of life. Is it possible for a scarecrow story to move a reader to tears? I didn’t think so until I read this poetic tribute to a representative of harvest. 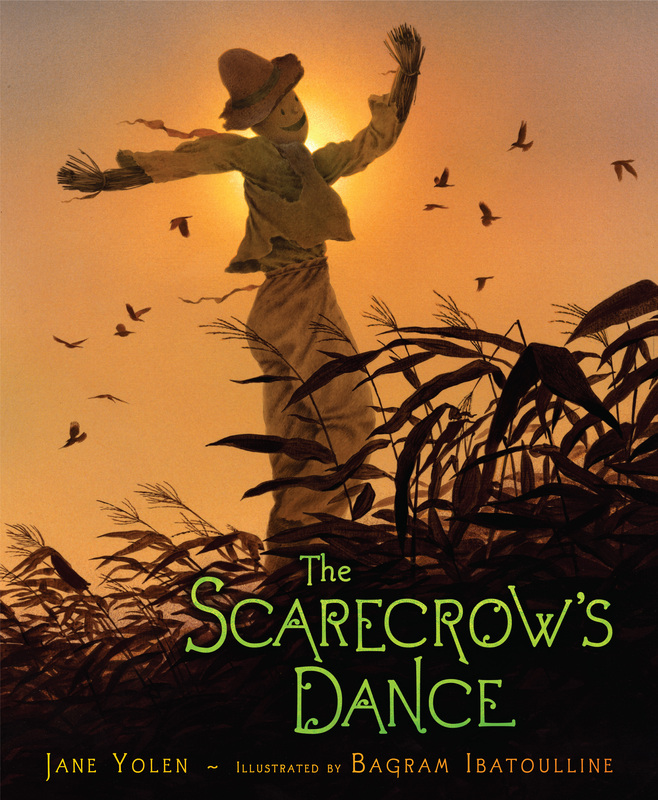 In The Scarecrow’s Dance, author Jane Yolen and illustrator Bagram Ibatoulline weave a rhythmic narrative about a scarecrow who is inspired to dance one windy autumn night. He becomes swept away in his harvest dance of delight and suddenly springs from his pole! Leaping, twirling and pirouetting, he passes through the cornfields, explores the barnyard, and slowly makes his way to the farmhouse that is settling down for the night. He is drawn to one of the lighted windows and eases closer to peer inside. Intrigued, the curious scarecrow listened closer as the child prayed a prayer of blessing for the entire farm. What about this story is so moving to me, a city girl who has never depended upon a scarecrow’s vigilant watch? Perhaps it is the fact that I can identify with the weight of responsibility upon his straw shoulders; perhaps it is the fact that all which he seeks to embrace with his outstretched arms is simply too vast and this reminds me that sometimes my heart desires the impossible as well; perhaps it is that we both share the desire to dance and embrace the beauty of the world that surrounds us; perhaps it is the understanding that the responsibility we have to those depending on us is far more valuable than the tantalizing lure of shirking that responsibility. This season, as you grab your pumpkin spice drink and curl up to read a fall story, take a moment to be inspired by a scarecrow. The Homeschool Experiment Motherhood can be overwhelming; there are days when I feel like I don’t even enjoy my kids because I am so immersed in caring for their basic needs. It’s difficult to imagine adding formal education into the mix. In fact, the book cover alone was something with which I could identify before even reading the introduction. Charity Hawkins knows how to write a good story. I kept double-checking the introduction to verify that it was indeed a novel: Julianne Miller, the protagonist of our story, seemed so real, so authentic, so ME! I found myself laughing, crying and yearning right along with her as she learned the rhythm of mothering and teaching her three young children while also donning the hats of wife, daughter, sister and friend. I know I have read a good book when throughout the day I find myself thinking about the new friend to whom it has introduced me and wondering how she would approach the situations I am facing. Charity’s authentic character refreshed my outlook on motherhood and all it entails. To pause as needed. There is always more to do: dishes, laundry, errands, meal prep, housework, and all the teaching and training that comes with kids. Sometimes I feel like I never get ahead in anything! Those are the very times when I just need to snuggle with my kids and read them a book or maybe two or three. Snuggling and reading together is always a good idea; the housework will wait for another hour or day, but there will come a time when my kids won’t be within arms reach and ready to read, “just one more story.” Or maybe we all need to go out for a play date with friends so they can run around with other little people and I can have nourishing conversation with other moms. Or maybe we will just lay in the grass in our backyard and find shapes in the clouds. To grow with the season. Since I am a mom with young children it means that this is still a new stage in life for me. It means that the ‘me without kids’ was not that long ago so it’s easy for me to compare that me with the ‘me with kids.’ Oh my! That me could jump out of bed and have personal devotions with bright eyes! That me could exercise every day, stick to my weekly cleaning routine, and remember what I ate for dinner the night before. This me hits the snooze button on my alarm several times before struggling out of bed, has almost forgotten what it’s like to take walks at a normal pace, has a perpetually messy, grubby house and struggles to remember what I had for breakfast. Even though I often feel like I’m falling apart I’m learning that this is a type of growth I’ve never before experienced. It’s the kind of growth that is helping me define my intangible priorities – that I’m walking slowly because I’m accompanied by little legs; my house is messy because I’m not alone during the day; I’m tired because I am making time for my husband after the kids are in bed; I can’t remember some things because I’m focusing in on others. That children are people and not tasks. I often make the mistake of planning into my day time with my kids. This often leaves me feeling rushed and flustered because I feel like I need to get through it in order to move on to the next thing. 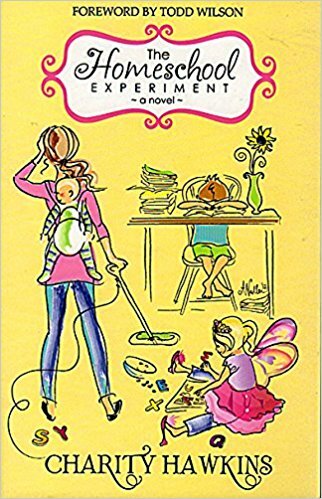 In the course of reading this book, I observed Julianne incorporating her children into everything she did, from housework to errands to serving others to making gifts for family members. Not only did this help her accomplish all of her daily tasks, it also provided an endless number of teaching opportunities and conversation topics with her children. Ultimately, that is what mothering and homeschooling are all about: preparing our children for lives as adults. Children learn best by example and when they work and live with us they learn from us. Julianne’s story might be a novel but the truths that permeate its pages are relevant to every mother seeking to live nobly. As she so eloquently stated near the end of the book, “We think we value ease and luxury, diamonds and crystal, but we don’t. We value fulfilling work, truth and honor, family and friends, lives well lived, love freely given.” (226) Cherish being a mother, my friend! Do not separate the rod from reproof. Training means children shouldn’t simply be told they have done wrong and then punished for it; it means they need to understand why they are being disciplined and how they could have behaved differently. They should be shown in Scripture why their actions were dishonoring to God and their parents and then led to practice the correct form of behavior. Scripture always partners the rod with reproof: one without the other can lead to anger and bitterness in a child’s heart. “Obey all the way, right away and with a happy heart.” It is easy for moms to think that giving second (and third) chances or numerous warnings is kind, loving or cool. We often reason that maybe our child didn’t hear us or fully understand us the first (or second) time. Sometimes we are busy with something or someone else and it’s simply not convenient to discipline the first offense. However, delay is harmful to moms because it allows emotions to escalate, resulting in our disciplining out of frustration or anger rather than as a built-in consequence to disobedience. Delay is also harmful to our children because it teaches them that immediate obedience is optional, not required. They must also learn that complete obedience must be done cheerfully and not begrudgingly for this will eventually transfer to their relationship with God. Biblical discipline points to Jesus. Training my children in righteousness is so much more than simply creating little minions who do my bidding so that my life is easy. Ha! As if that would ever happen! Rather, it is my calling to lead my children to Jesus by raising them to obey immediately and joyfully. Showing them that obedience is in Scripture also creates in them the awareness that God expects to be obeyed in all things; anything less will result in discipline from Him. I am obeying God when I train my children to obey me and their father. The above points are just a few of the many thought-provoking lessons I learned from this thorough book. She details the gentle verbal reproofs we can use to guide our children along with the verses from Scripture that we can share with them to validate our reasons for disciplining. She also presents daily scenarios we may encounter and how to handle them in a calm and consistent fashion. If you only have time to read one book in the next few months, I would urge you to choose this one. It has the potential to transform your disciplining strategies in a way that will bring you much peace of mind. I will definitely be reading it again! The Hobbit by J.R.R. Tolkien is probably a familiar title to all of you, but when did you last read it? The last time I read this book was about 16 years ago; now my husband and I are reading it together, and it feels like reconnecting with an old friend with a hint of reading it for the first time. The adventure and intrigue are as fresh as ever, but my grasp of the deeper meanings is richer. The fantasy has not lost its powerful grip on my attention, yet now I found it almost comforting to have my eyes nestled in the pages of this timeless classic. Courage in the ordinary heart has taken on a new meaning for me as I need it more than ever before as I raise my children to be ready to take on the world outside our door. Most heartily agree. There is something very complex about the mind and reading. The eyes and brain are very involved. The brain is picturing the words…sometimes this is great! Desired! Healthy! But it can just as easily be horribly dangerous/distructive/innocence robbing. Parents and teachers alike need to be actively involved with what their charges are reading/watching/ talking about. We all know their brains are little sponges. What do we desire them to soak up? You’re a real deep thniker. Thanks for sharing.